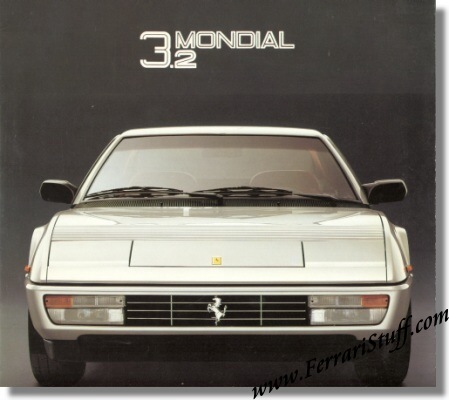 Ferrari factory original 1985 Ferrari Mondial 3.2 Coupe Brochure. Sales Brochure for the Mondial Coupe ONLY (does not contain the Mondial cabriolet). Consist of front and rear covers which fold out to make a full 4 page spread. Dimensions: approximately 24 x 23 cm. Language: English + Italian + French + German. Ferrari Print Number 388/85 4M/11/85, issued in 1985, printed in November 1985 by Stampa Arbe, Italy.